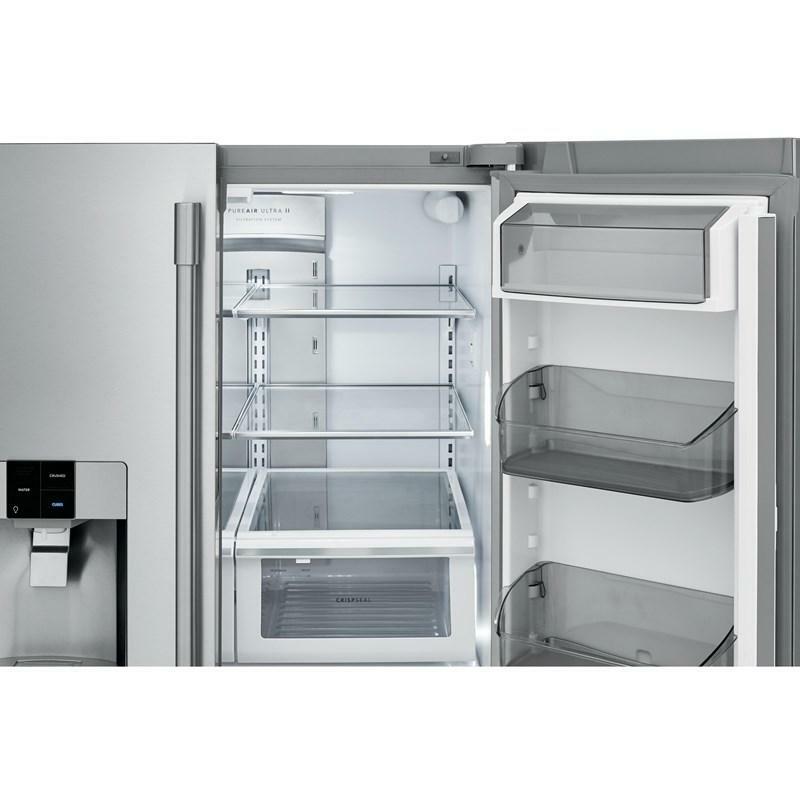 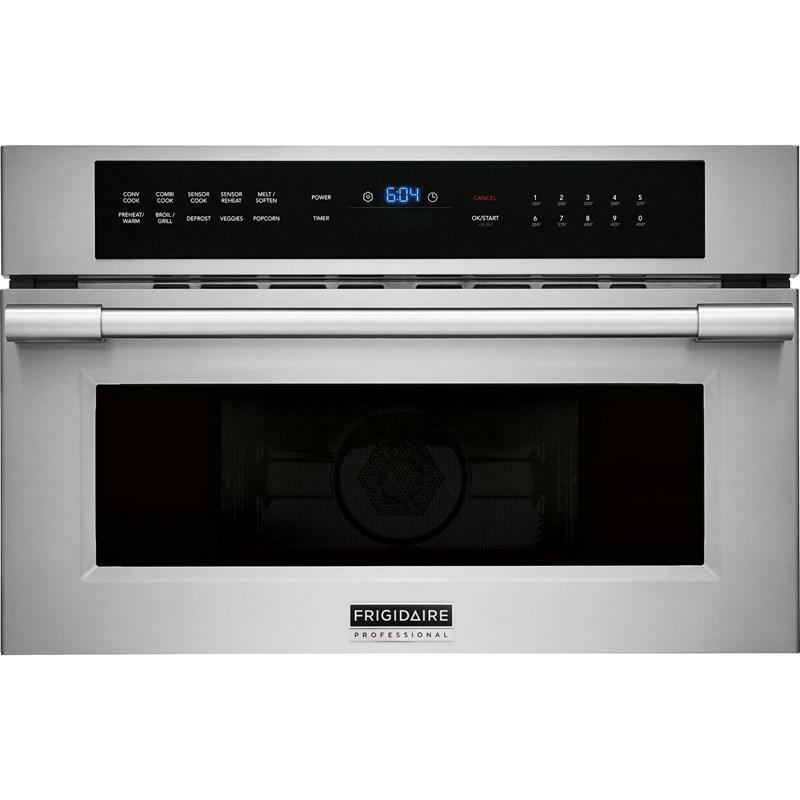 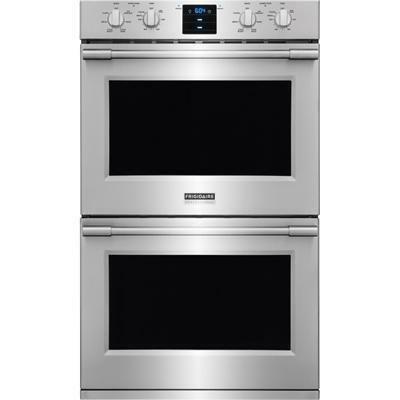 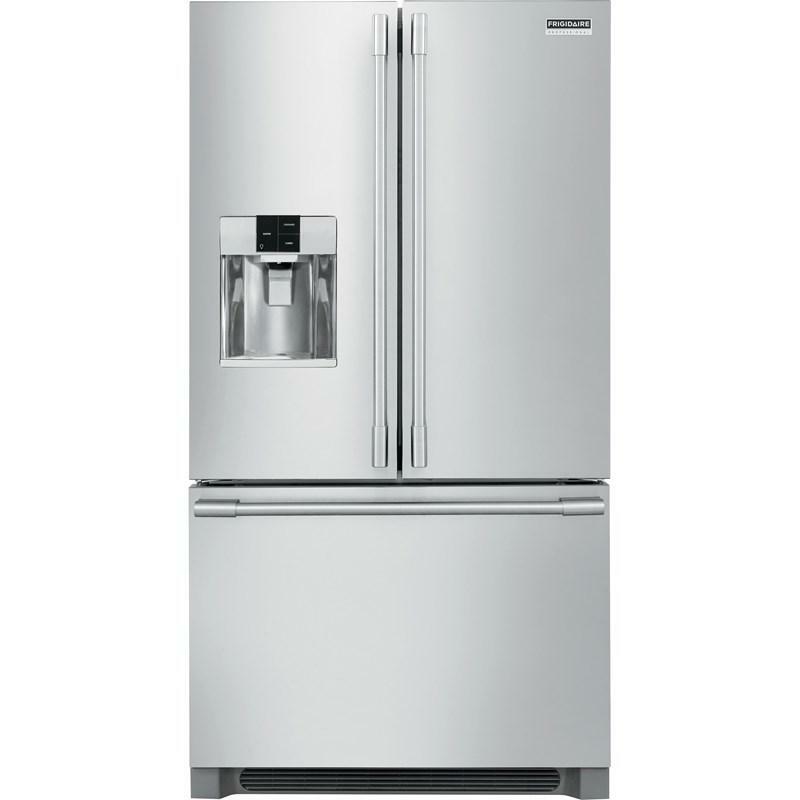 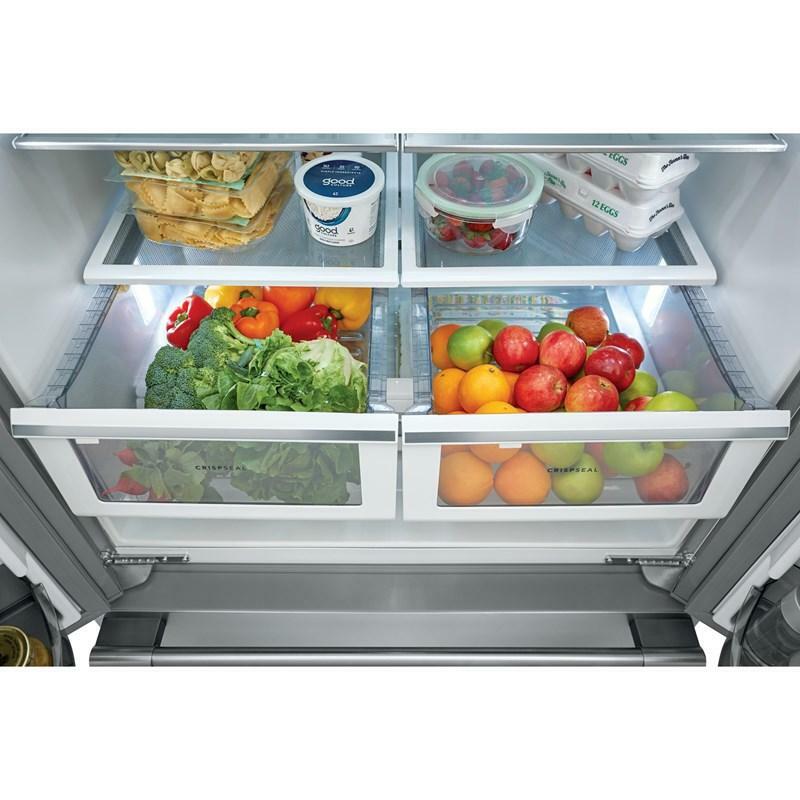 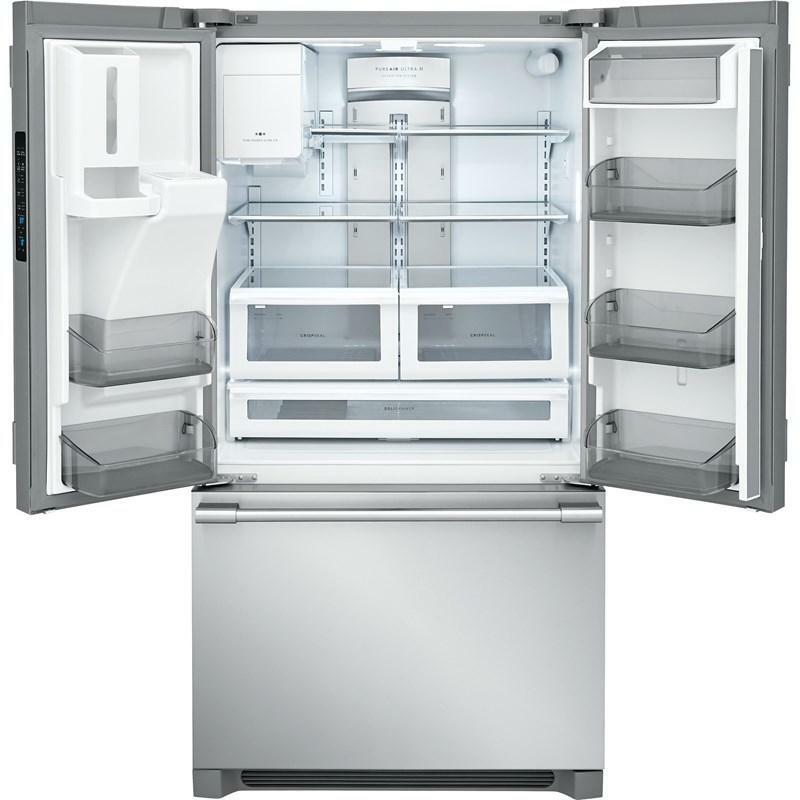 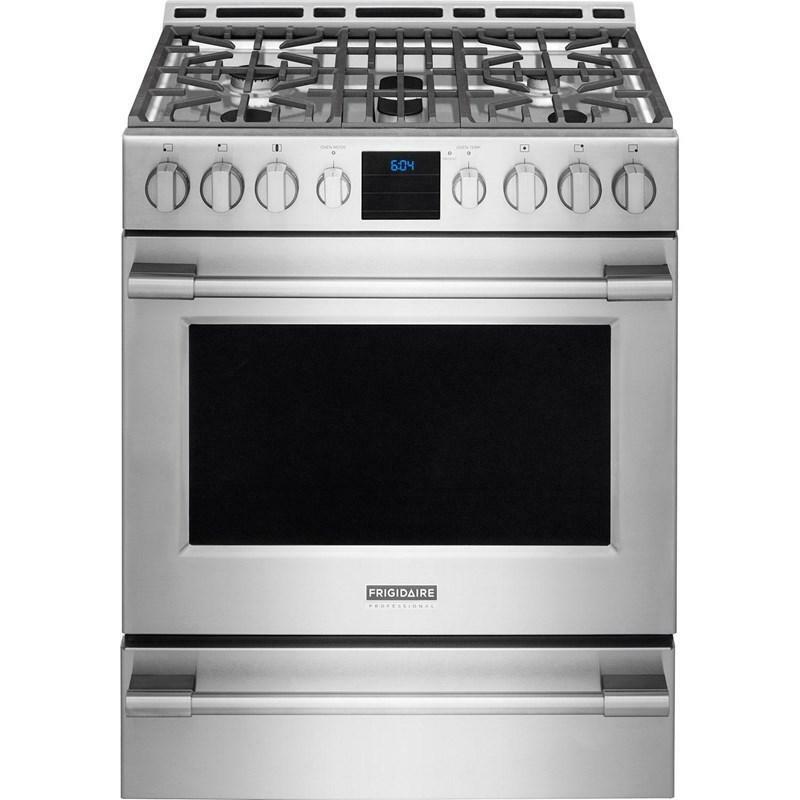 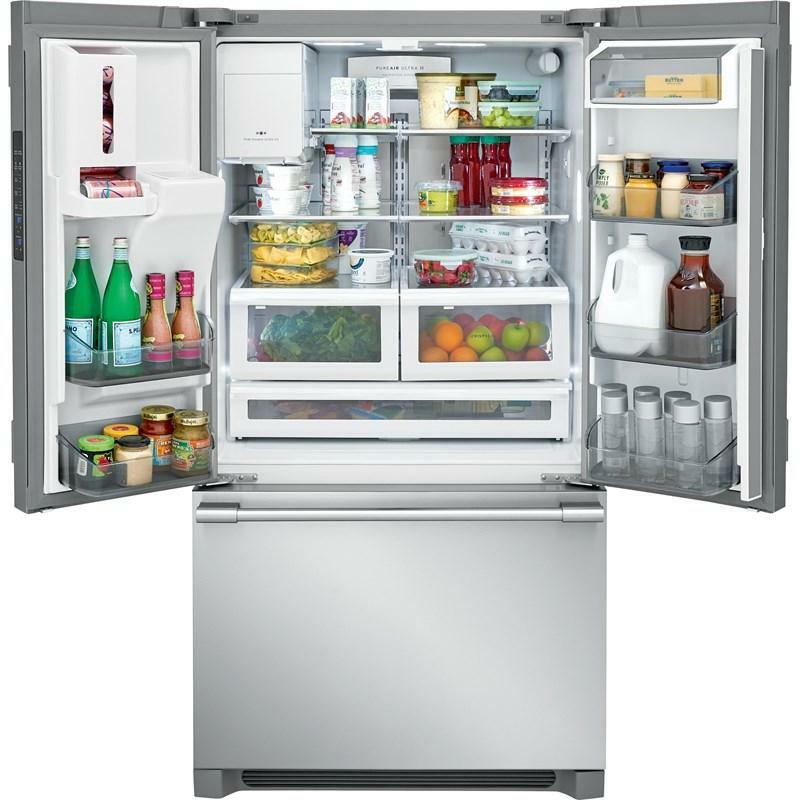 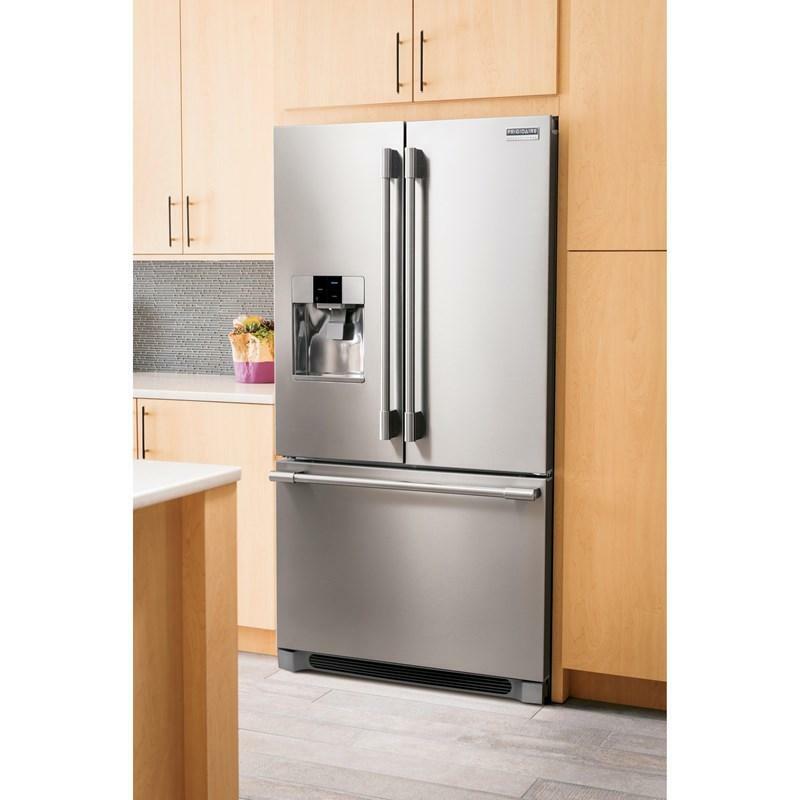 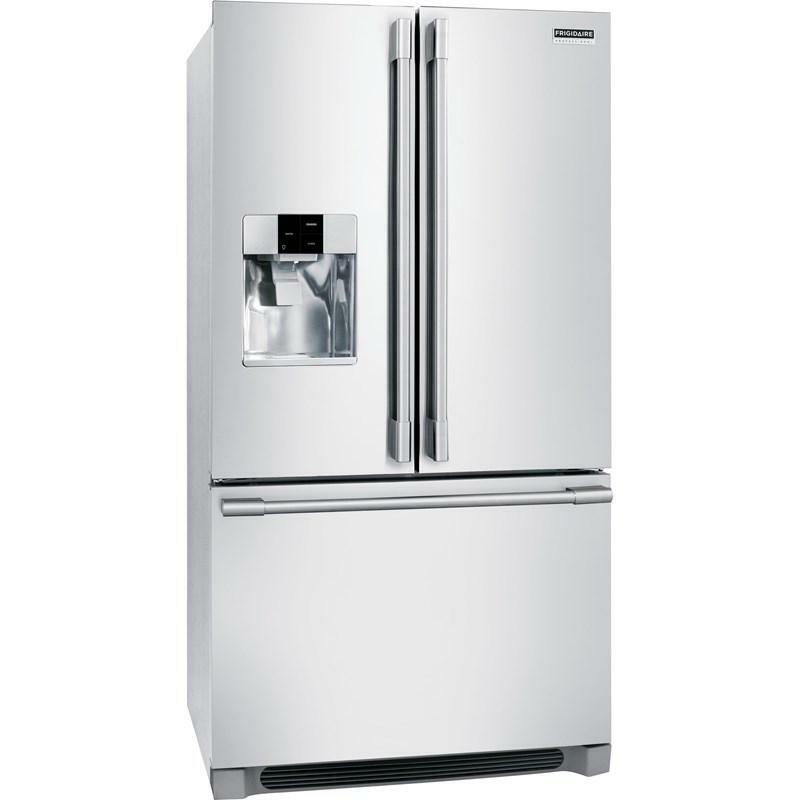 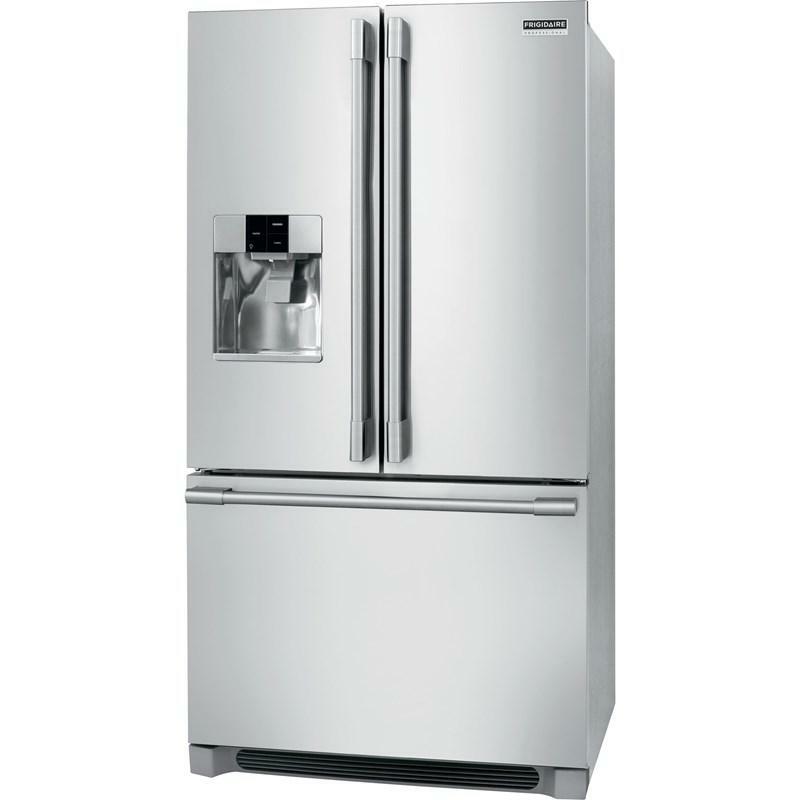 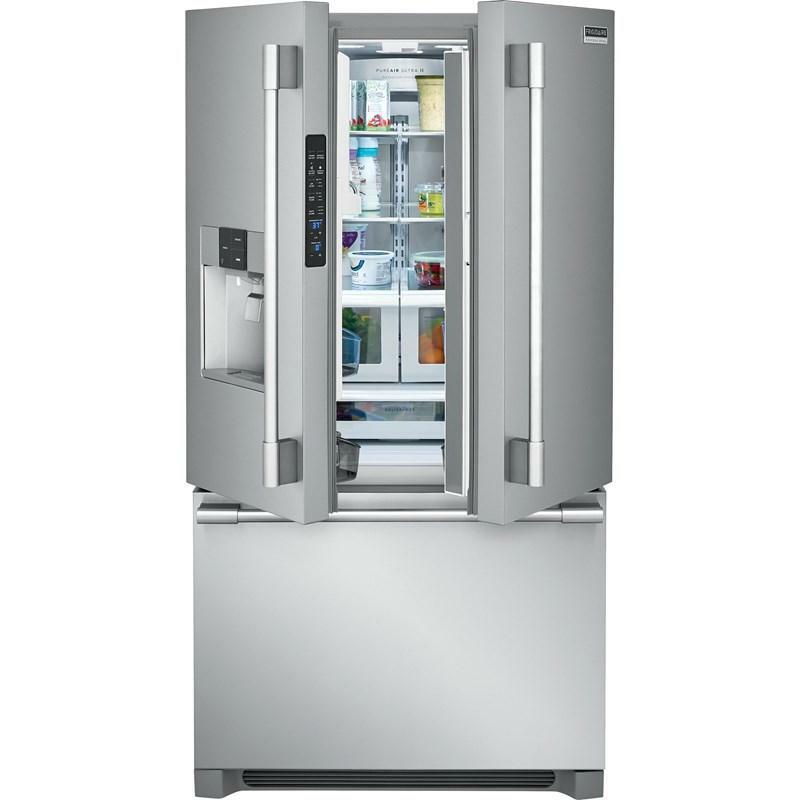 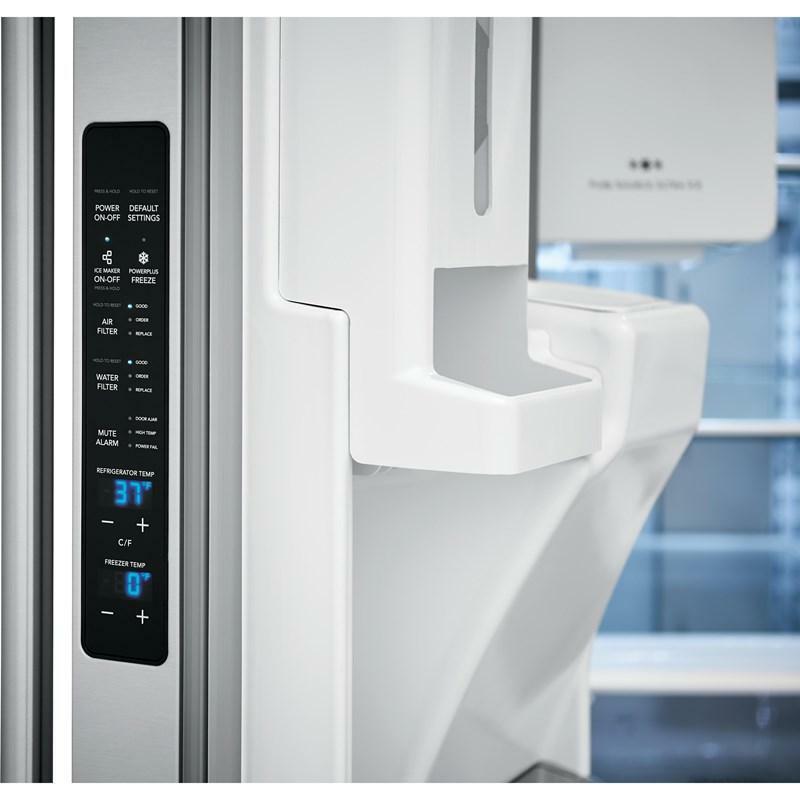 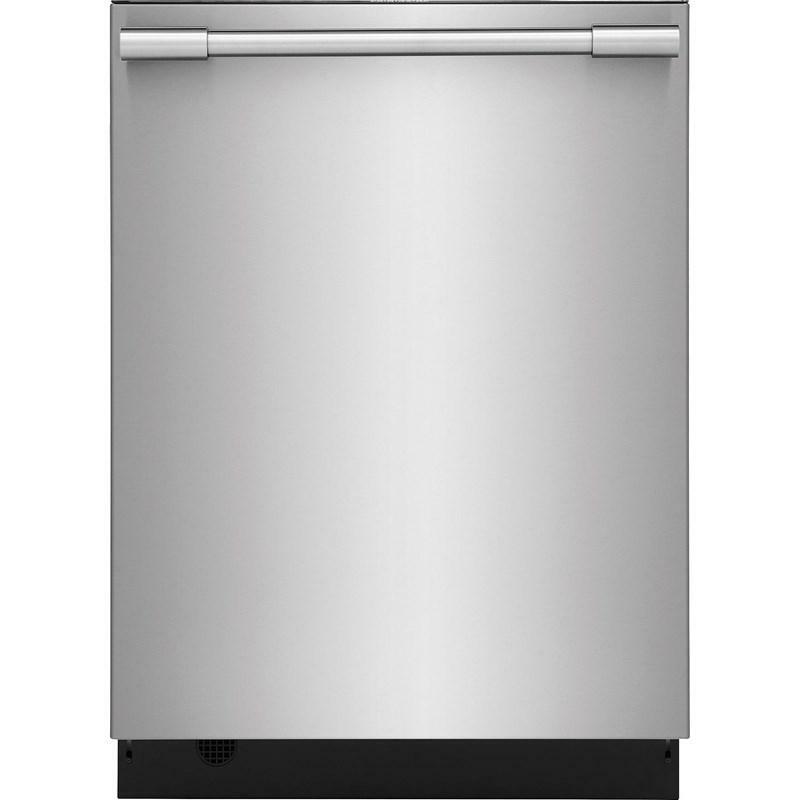 This Frigidaire Professional 36-inch french 3-door, counter-depth refrigerator is equipped with an external water and ice system. 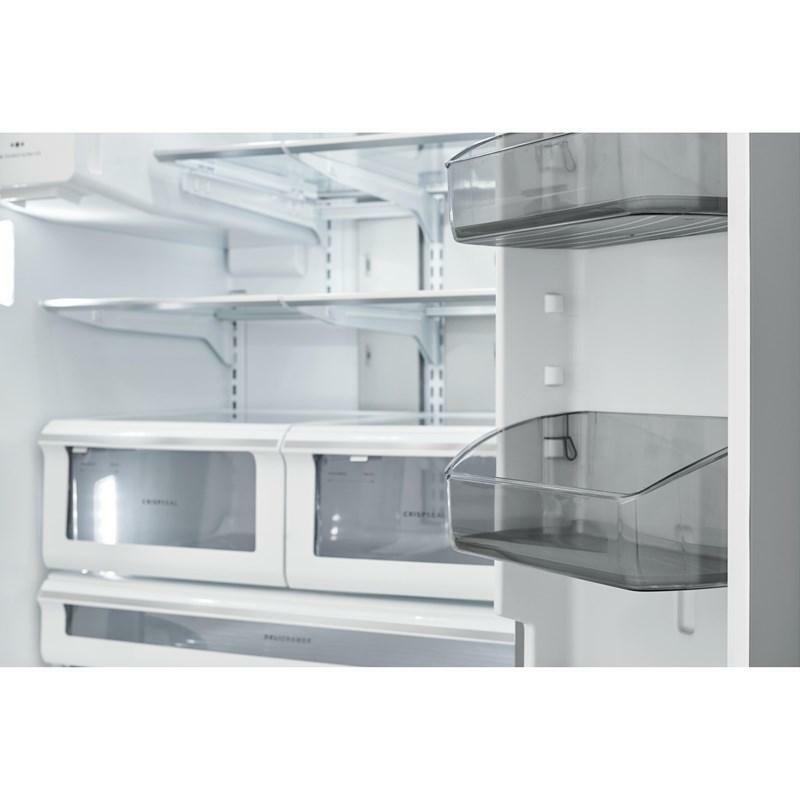 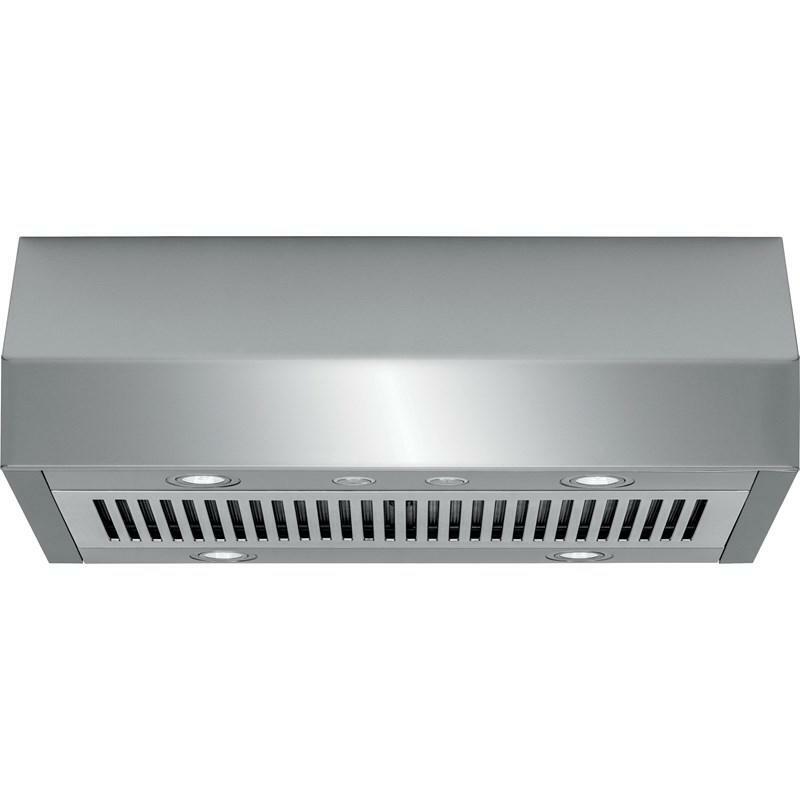 This model also features the PureAir Ultra® filtration system, the SpacePro™ shelving system and SpacePro™ adjustable crisper bins. 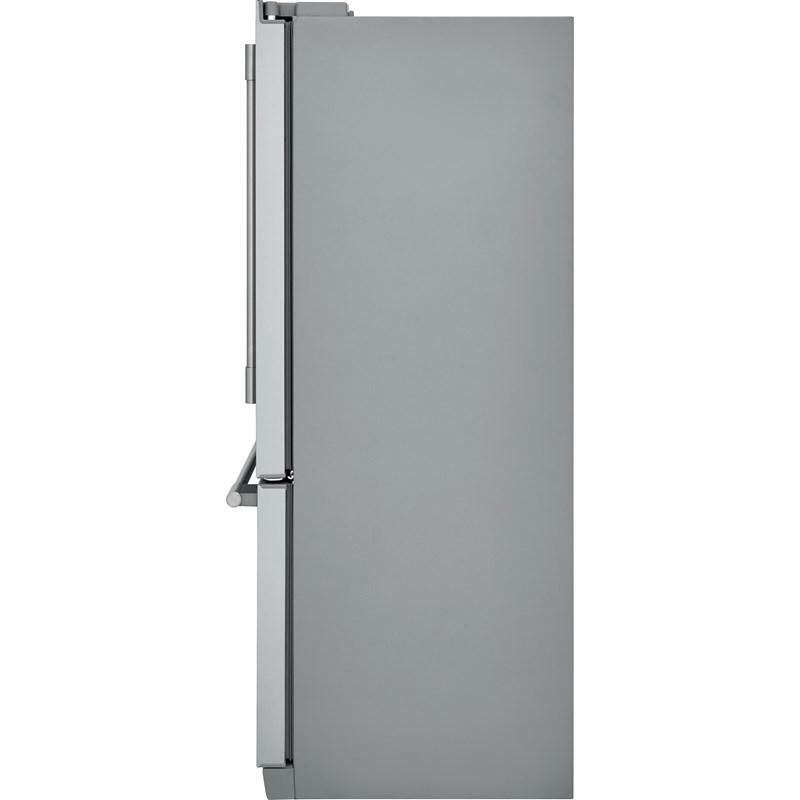 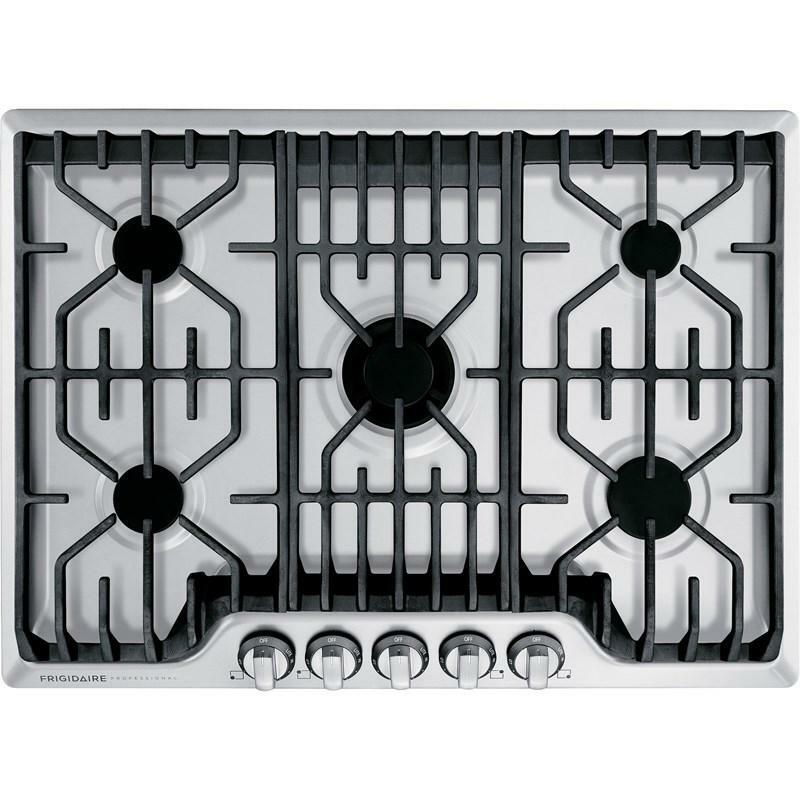 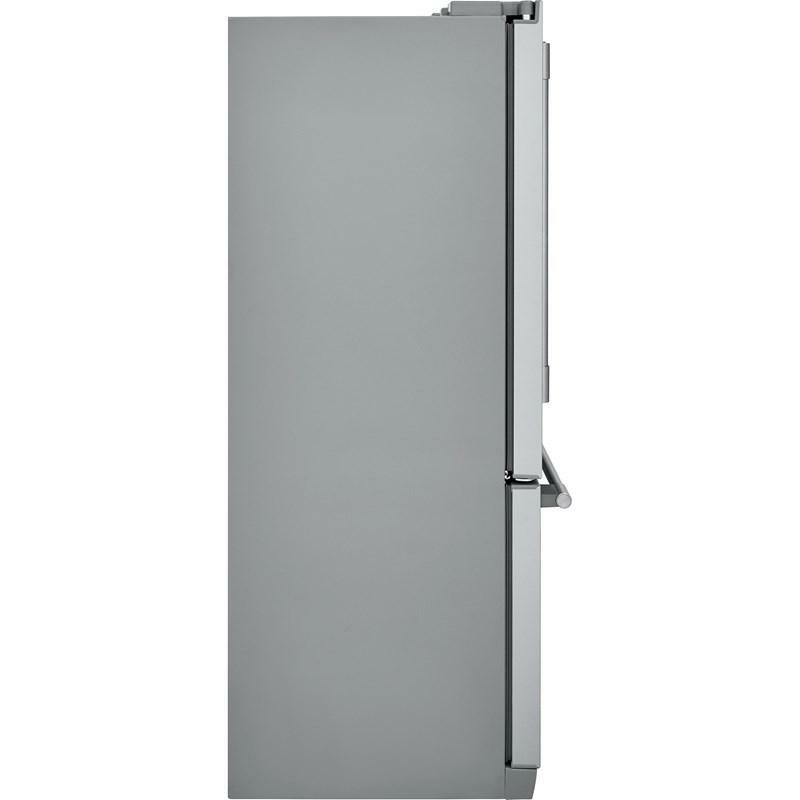 Additional Dimensions Depth (with Door 90° Open): 42-1/2"